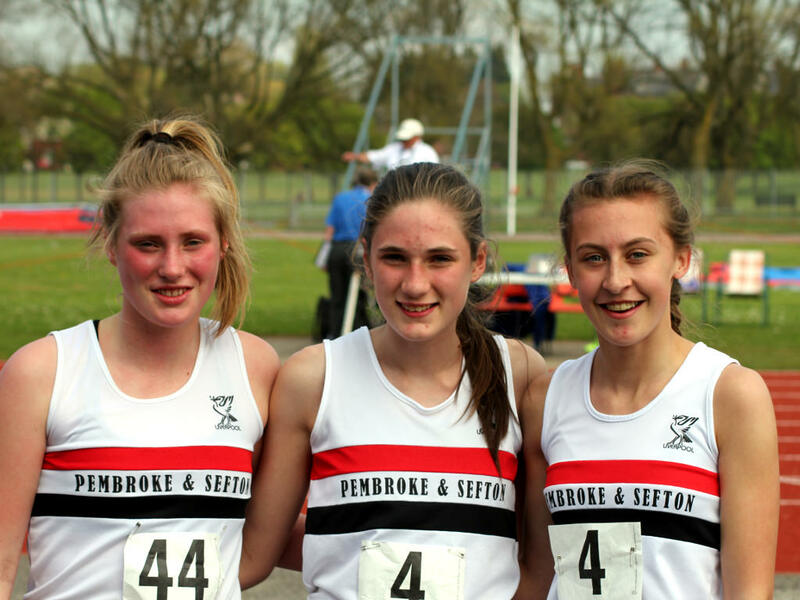 Liverpool Pembroke & Sefton’s senior team clinched third place on their return to division 2 of the Northern League. 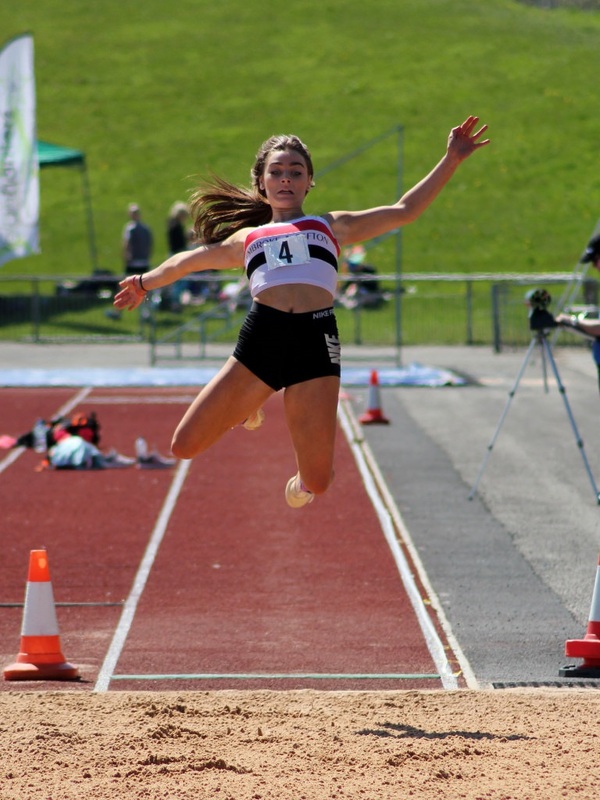 The meeting started on a high with maximum points achieved in the women’s long jump. 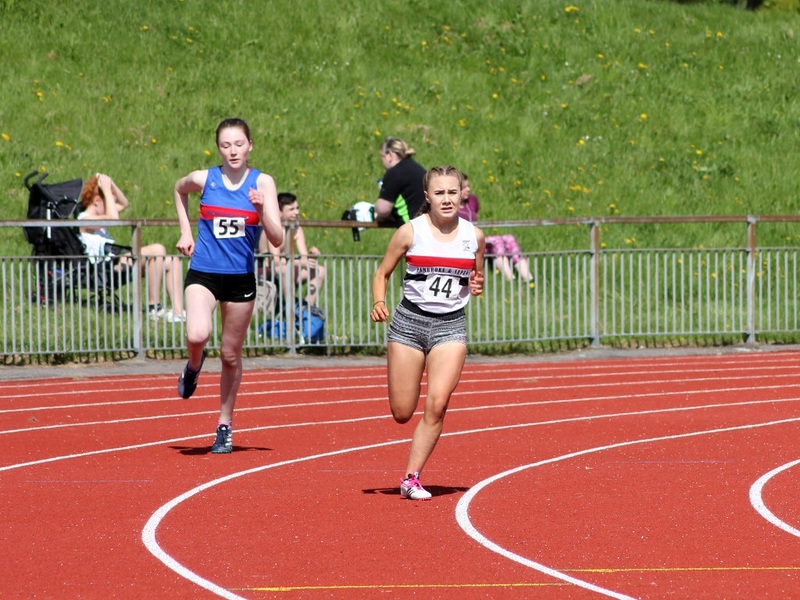 Lauren Lewis won the ‘A’ event (5.38m) and a personal best from Erin Birchall (5.25m) won the ‘B’ event. 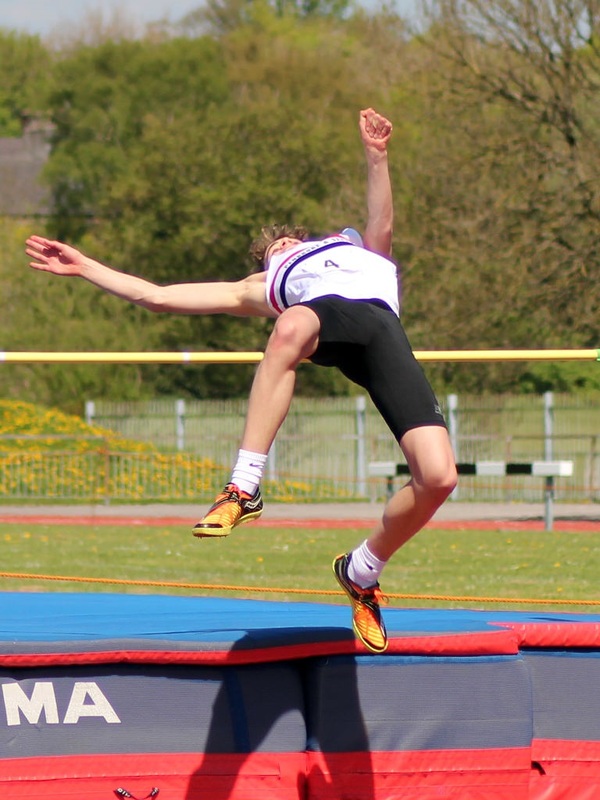 Matt Ingram continued his excellent form in the jumps with victory in the long jump (6.86m) and triple jump (13.33m). 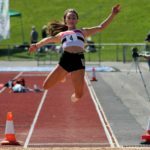 He was well supported in the triple jump by the ever improving Marcus Bathie with a leap of 10.22m which clinched 2nd place in the ‘B’ event. 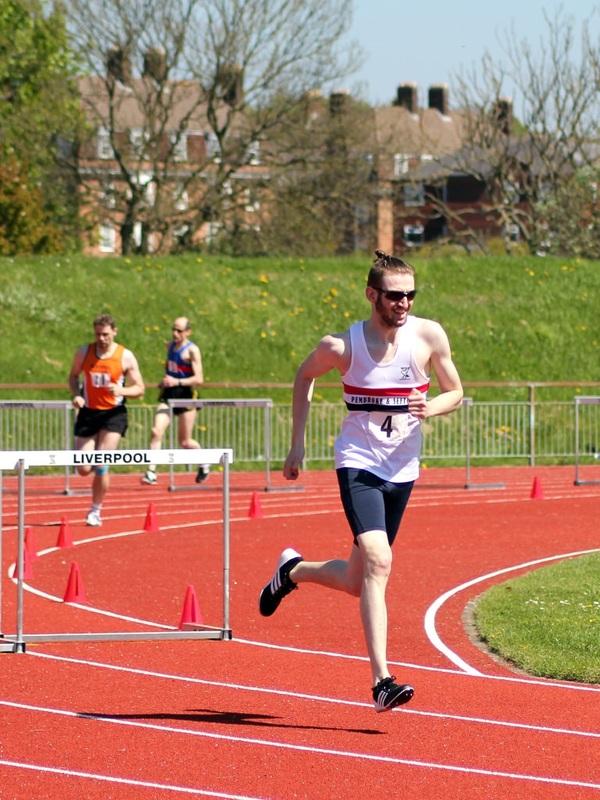 Marcus also finished 2nd in the 400m hurdles with his best ever time of 64.9 sec. 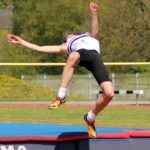 Owen Southern’s leap of 1.85m in the high jump was only good enough for second place but Tom Kwissa won the ‘B’ event with 1.75m. 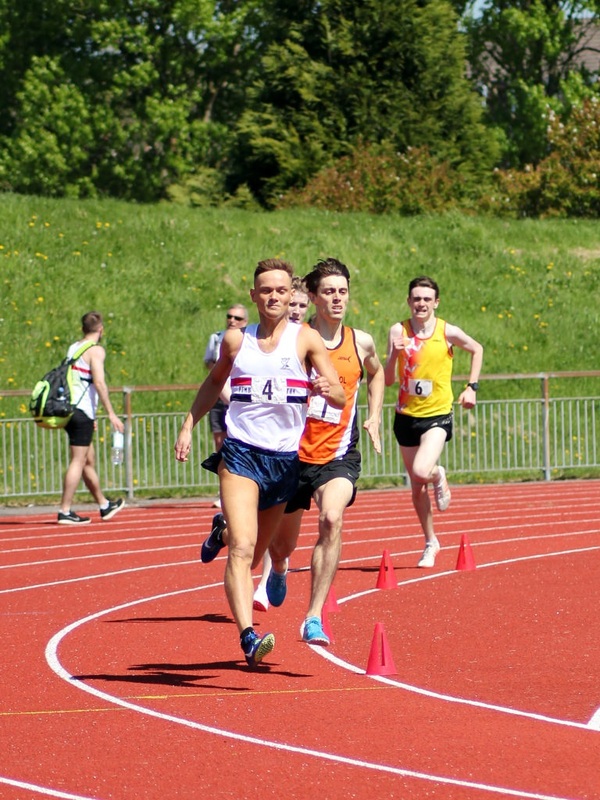 The male sprinters can always be relied upon for points. 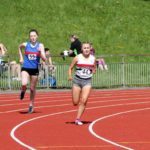 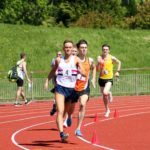 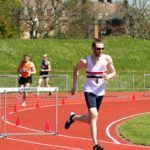 Billy Matthews achieved maximum points in both 100m (11.5) & 200m (23.0) ‘B’ events, while Danny Higham (49.5) was 2nd in the ‘A’ 400m, but Harry Doran won the ‘B’ event ((50.7). 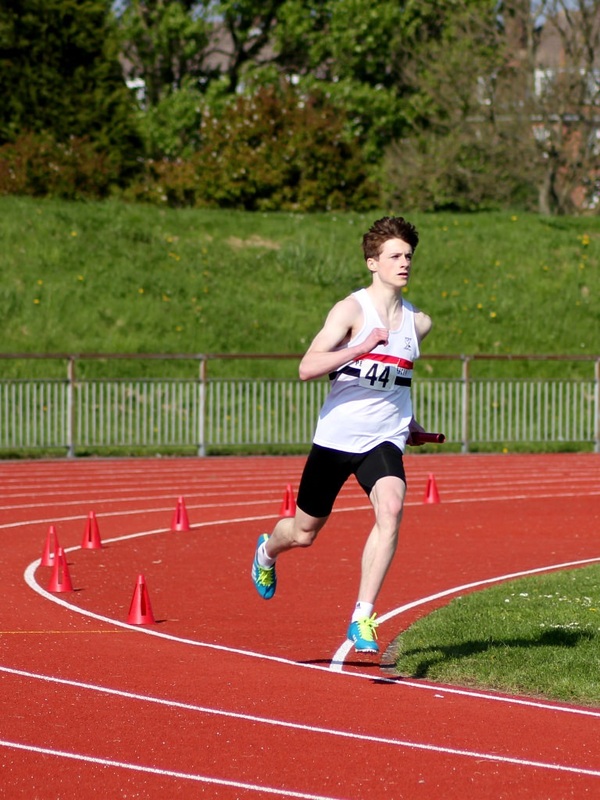 With the edition of Luke Edwards they won both the 4x100m and 4x400m relays. 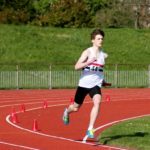 Luke had earlier won the 800m race(1:55.8), ably supported by James Metcalfe with a second place finish (1:59.7) in the ‘B’ race. 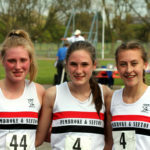 ← Helen and Lisa compete at Oulton duathlon.